I’m excited to share my favorite weight loss hacks that surprisingly work wonders for those who struggle with losing weight quickly! There’s always one thing that takes center stage when it comes to New Year’s resolutions: setting new weight loss goals. Some may desire to lose weight because they’d like to feel more confident in their skin, while others may need to for the sake of their health. There could be many other reasons for why you want to lose weight this year, but whatever the reason, we’re here to help! 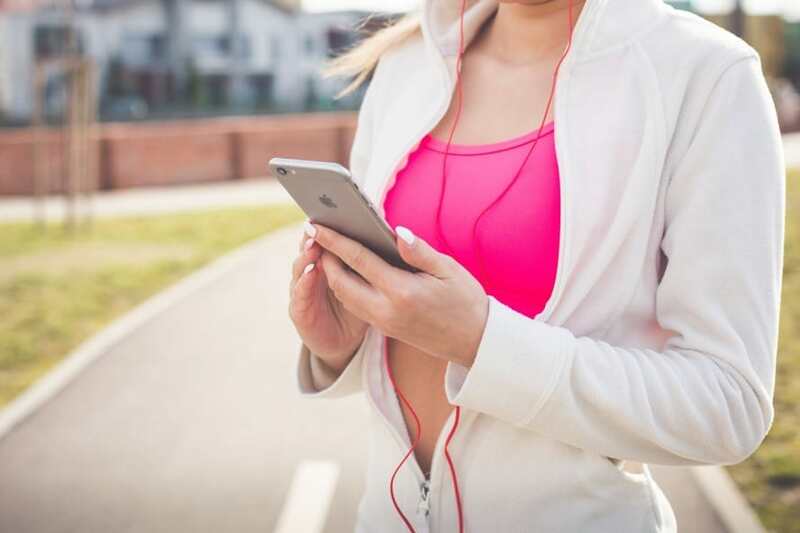 Instead of this being a short fix, we want these weight loss hacks to help you to discover new ways to live a healthy, maintainable lifestyle you love! No more crash dieting or quick weight loss only to gain it all back, and more, once you quit your diet. 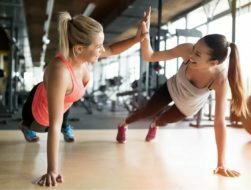 With your new healthy lifestyle will come greater confidence in yourself, an increased amount of energy, a healthier body, and yes, even a smaller waistline. Sound like a dream come true? Let’s make this dream a reality! These simple weight loss hacks will help you achieve your weight loss goals WITHOUT it feeling like a dreaded chore. They may not be your typical hacks to lose weight overnight, but that doesn’t mean you won’t see (or feel) a change very quickly. If you can integrate all 8 of these hacks, you just might see a bit of a healthy change overnight! You’d be surprised by how much a bit more movement here and there can add up to big results. When you’re sedentary all day long, your body isn’t doing much, so it feels no need to burn more calories. But when you’re active, your metabolism will instantly increase because it has to burn more calories to give you energy. Simple activities such as walking to the post office or biking to work instead of driving can make a big difference if you commit to doing it often. Even a quick walk during your lunch break helps! Drinking a large glass of water before eating gives you a sense of fullness so you’re less inclined to overindulge. 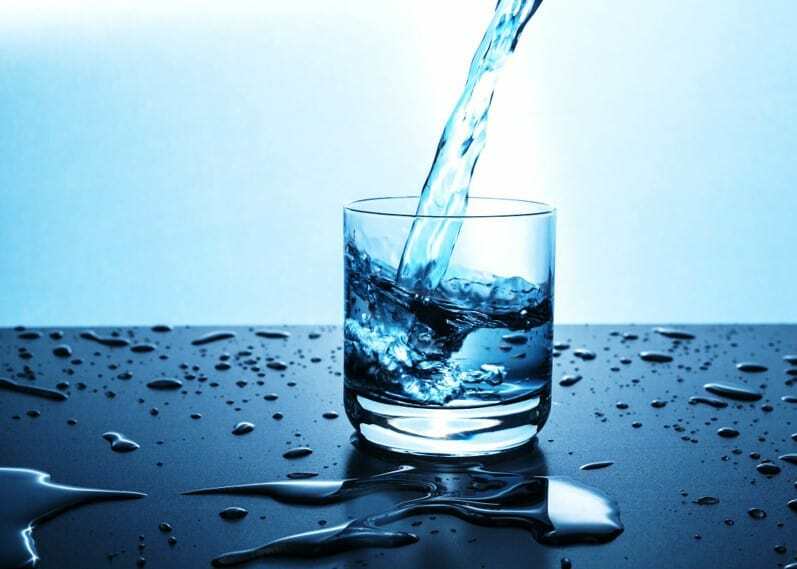 One study reported that participants who drank water before each meal lost 44% more weight than those who didn’t. You also want to be drinking half your body weight in ounces of water each day. For example, if you weigh 150 pounds, you should be drinking about 75 ozs. This will keep you on track in getting enough water in throughout the day. An optical illusion is a powerful thing and there’s no exception when it comes to filling up a smaller plate of food. Trade in a lunch plate for your dinner plate and your meal will automatically reduce in calories because you’re eating a smaller amount of food. But all your eyes will see is a plate full of food and a delicious meal to fill your belly. This is one of those weight loss hacks that takes a simple change but can ultimately integrated into your everyday life without your feeling the slightest change. Veggies are composed largely of water and are loaded with vitamins and nutrients that are great for your health. 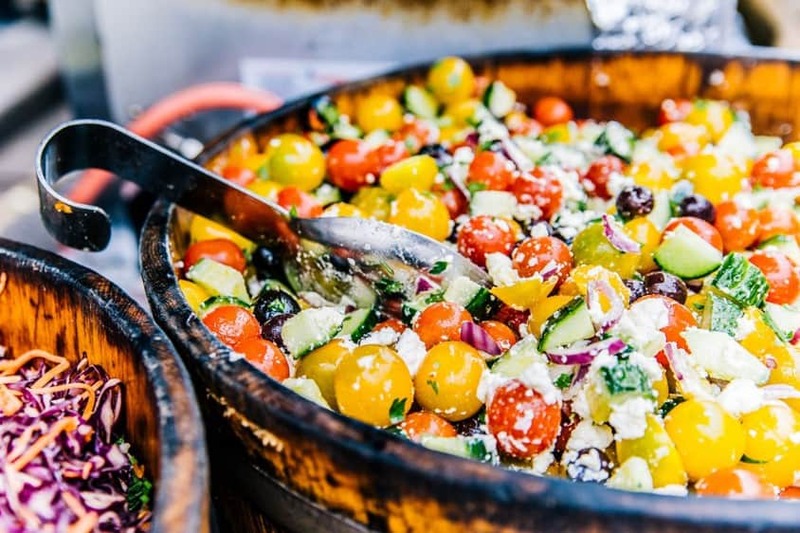 By loading up on veggies at each meal, you can achieve that “full” feeling you desire, without diminishing 500 calories from your daily intake like a full plate of pasta would. One whole cup of veggies is about 35 calories (depending on the veggies), so you can LOAD UP on this filling food. Pair it with a lean protein and a healthy fat and you’ll feel completely satisfied for a much smaller amount of calories. This may sound like one of those lazy weight loss hacks but sleep is vital to your health. 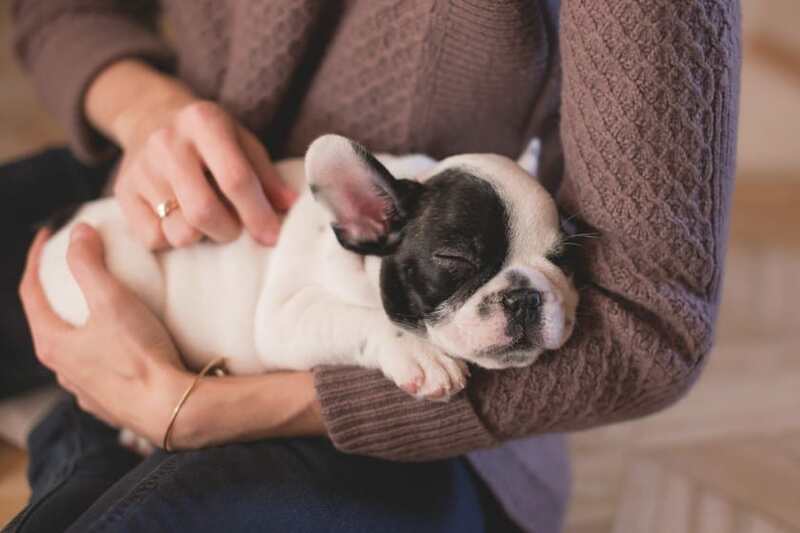 When you don’t get enough sleep, it’s believed that your body actually produces more Ghrelin, a hunger-stimulating hormone, and reduces your levels of leptin, a chemical which makes you feel full. Add that to your minimal desire to workout when you’re exhausted, and you’ve got a recipe for weight gain. Instead, aim for at least 7 hours of sleep each night (you might need more like 8 or 9, everybody’s needs are different). Not only will you feel energized for your day, but you’ll also be clear-minded and ready to tackle your weight loss goals. I am TELLING YOU to eat dark chocolate. This might be just about the greatest weight loss hack you’ve ever read in your life. ? But there’s a reason behind this “madness.” When you deprive your body completely of sweets, it craves MOAR. 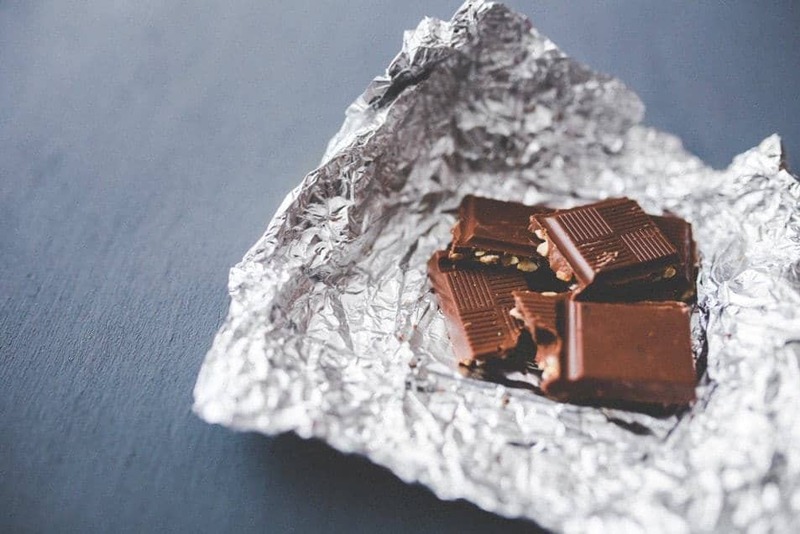 But when I have a piece (or 2) of dark chocolate each day, I don’t feel like I’m depriving myself of delicious, rich sweets. I’m able to conquer my healthy eating goals so much better when my body feels like it doesn’t have to cut anything out. My favorite motto to live by when living a healthy lifestyle is: “Everything in moderation”. 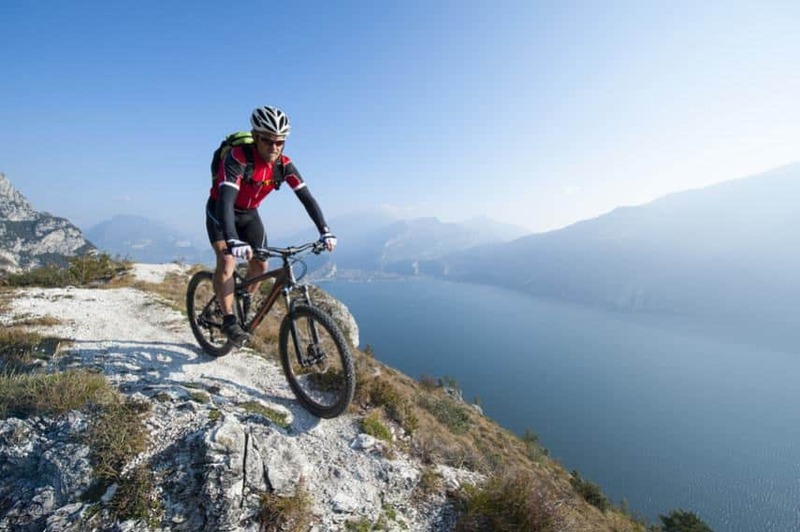 A few of my favorite hobbies include hiking, running, biking, playing tennis, and swimming. Notice all of those are active. And that’s not by mistake. When I decided it was time to live a healthier lifestyle, I purposely tried out different activities that would get me off the couch. And I fell in love with the good feeling I got after getting active (hello, endorphins) and how much more energized I felt when choosing to do something fun outside rather than plant myself in front of the TV. This weight loss tip may not be for everyone, and that is perfectly okay. I’m sharing it because it has personally worked for me, so it might work for you as well. Before I started using Myfitnesspal to track my food, I had NO IDEA how many calories I was eating each day. It can be a shocker to see that you’ve consumed 2,500 calories that day and don’t even feel full because they’ve consisted of chips and salsa, or other not so nutritious foods that leave you hungry an hour later. Once I started tracking what I ate, I was more aware of when I needed to up my intake of veggies, protein, and healthy fats, and tone down the junk food and empty calories that weren’t actually filling me up or giving me any nutritious value to my diet. My best piece of advice is to use this as ONE tool in your toolkit to weight loss, don’t let it become your prime focus. When you become too focused on calories, cutting, and obsessing over food, you can head down a slippery slope to dangerous restrictive eating habits. Instead, use tracking your food as a guideline to healthier eating and a healthier lifestyle overall. 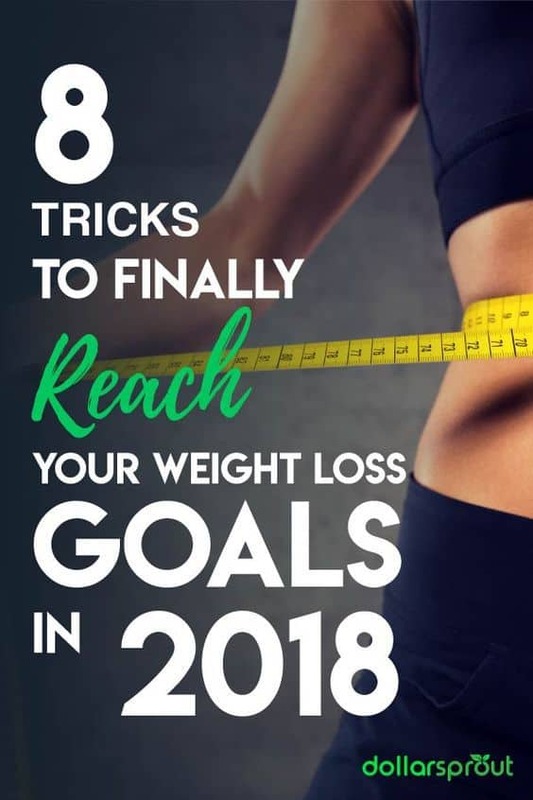 And with some dedication and a few simple lifestyle changes (and these weight loss tips, of course), you’re that much closer to achieving them. These weight loss hacks will help you achieve a healthier lifestyle and feel like the best version of YOU.